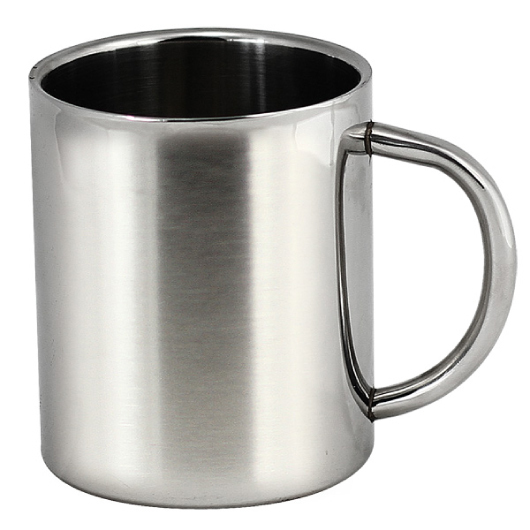 A stainless steel mug designed to add exquisite taste to your morning coffee and with the assurance that your coffee will not get cold too fast. Simple but beautifully crafted, our coffee mug brings style, function and durability together into one complete package. Made from stainless steel alloy with a capacity of 300ml. The mug features a double-wall construction that keeps your beverage hot or cold for a longer period of time. The air gap between the two walls can prevent heat loss and condensation on the outside of the insulated cup.